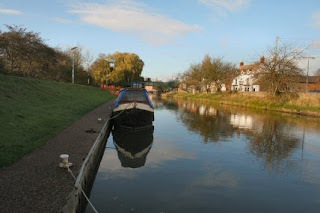 After a trip to the Co-op to stock up on cat food and bad habit materials it was time to set off from one of my favourite moorings - Saxilby. 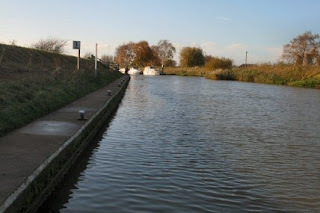 Having passed Drinsey Nook and rounded the corner one is then faced with the problem of The Foss Dyke. The long straights. 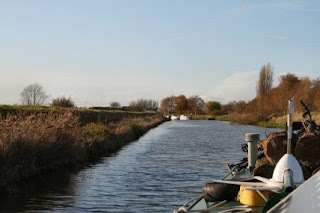 On the far horizon there is only a kink in the canal and then another long straight. Drinsey Nook by the way gets its name thus. Drin-sey comes from - it seems - a chap by the name of Dreng who lived in the -sey which was the marsh. 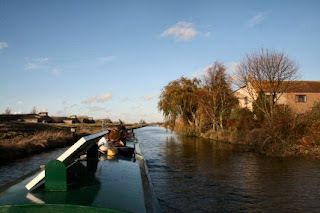 The Nook in Lincolnshire is a corner and there is certainly a corner here both on the road and on the canal. Just as I was getting bored I received a phone call from Abz to brighten my day. 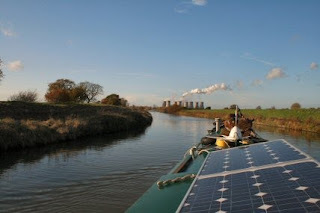 I described the scenery as it passed - which didnt take very long - and mentioned the power stations I could see and was asked to explain the towers so said I would put a pic on the blog for her to see them so here it is. At the speed I travel at it takes one and a half hours to get to Torksey and at the end of another straight it hove into view. Not many boats here but just around the corner there are loads. I will pop down tomorrow and check out the tide times. I have a big job on. 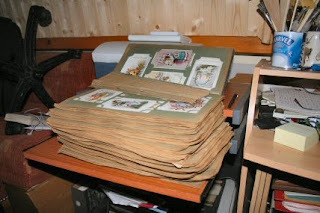 Mal brought a delightful postcard album up that needs some work doing to it. At the moment I have just stripped it all down and taken out all the rusty staples and now need to figure out how to best put it back together while using as much of the original as I can. I will put pics on as it progresses.